We have hundreds of rulers, in many different shapes and sizes for any type of project you can imagine. Our designers are always thinking of the next must have ruler! 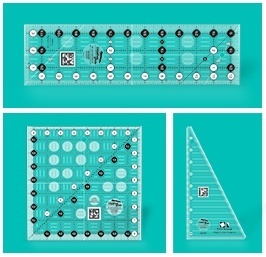 Find out what makes a Creative Grids® ruler stand out from all the other rulers. Hint: It's the same reason why so many quilters and sewers say Creative Grids® Rulers are their favorite rulers on the market and would never go without them again!